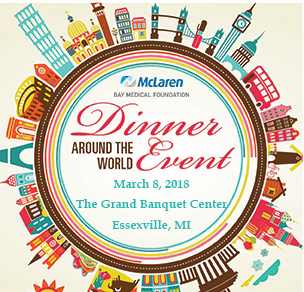 Dinner Around the World Event will take place on Thursday, March 8, 2018 at The Grand Banquet Center in Essexville, MI. Ten countries will be showcasing their authentic cuisines and delicious delicacies! The event will also consist of a silent auction and wine raffle.